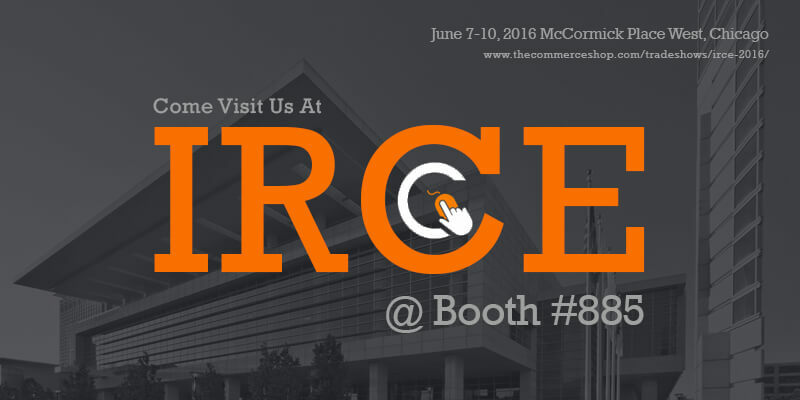 Visit The Commerce Shop At IRCE 2016! The majority of retailers have joined the eCommerce revolution – They finally realized the need for an online existence. While being online is no longer an option, the role of attending conferences, workshops, exhibitions, tradeshows and other offline events is still really important, as well. In person events help you to stay in the know of latest trends and happenings, learn the success stories of experts who are making it big in the industry, grow your network and above all, help you find some of the best eCommerce solution providers. So, What’s IRCE And Why Are We Excited? Internet Retailer Conference + Exhibition (IRCE) is a show where major retailers and etailers from around the globe meet, network and learn novel ways to improve their brand online. From June 7th to 10th 2016 at McCormick Place West, Chicago, The Commerce Shop team is all geared up to be a part of this awesome, fun-packed event. Behind any successful eCommerce website, there are numerous measurable factors that are crucial to their success. And there is the eternal quest for finding solutions to low conversion rates despite heavy web traffic. But this quest is about to end – The Commerce Shop team is excited to unveil our new personalization tool. This tool will be a huge relief to eCommerce site owners looking to improve conversion and customer retention. Stop by our booth (#885) where Nash, our President and Pandian, our in-house CRO Expert, will demo our tool, talk to you about your business and show you how implementing actionable CRO can increase your online sales. We Have Lots More Awaiting For You! Participants have a chance to try out free demo of their personalization tool and win two months free use of this product. Along with the above, they could win a one-time $1,000 eCommerce scholarship. An awesome opportunity for Magento site owners to get a free CRO audit from the experts at The Commerce Shop. Interested in learning more? Then set a time to meet with us at IRCE! Don’t miss this opportunity to join nearly 600 vendors and be a part of largest eCommerce trade show in the industry!